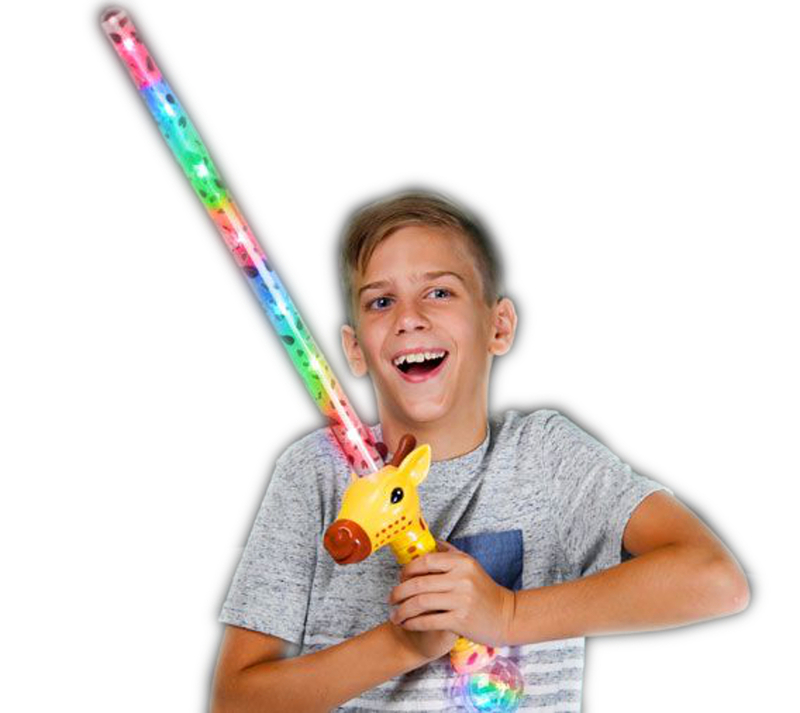 Each Light Up Go Wild Giraffe Sword has a beautifully painted handle, along with a neat printed zoo design inside the blade. Upon activation each sword has 3 blinking functions that come to life with each press of the power button. Sword Length: 28 inches Each sword has a large crystal ball and three flashing modes. 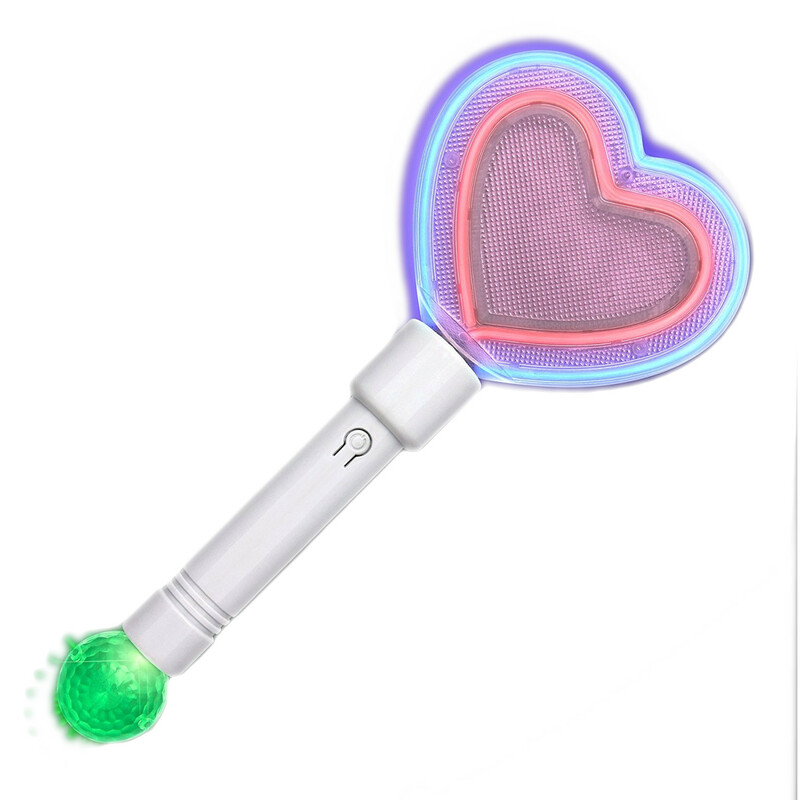 Comes ready to use with AAA batteries. Batteris are replaceable.